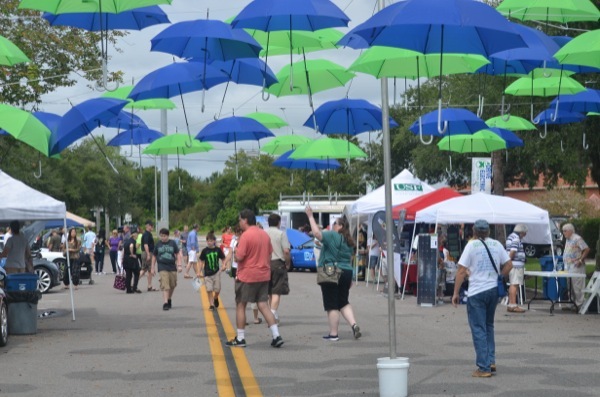 Drive Electric Tampa Bay EVent in downtown Oldsmar. Tampa Bay is celebrating electric vehicles with Drive Electric Tampa Bay, an exciting one-day event that will be held in front of City Hall in the City of Oldsmar. This exciting event is taking place on Saturday, September 20, 2014 from 11:00 am until 3:00 p.m. Rain date is Sunday, September 21, 2014 11:00 – 3:00. This 2014 event is part of the 4th Annual National Drive Electric Week (formerly known as “National Plug In Day”) in which nearly 100 cities across the country are expected to participate. In years past, these events have engaged thousands of people and generated significant media coverage. This weeklong event is an opportunity to celebrate the myriad of benefits that electric vehicles can bring to cities from coast-to-coast. Plug-in electric vehicles have enabled millions of miles of cleaner, oil-free driving, including here in the Tampa Bay area. Electric vehicle showcase with vehicles ranging from modern production vehicles to conversion vehicles to electric bicycles. Dealership-sponsored ride-and-drives with many of the hottest new models in electric vehicles. There are currently 252 attendees registered. Registered attendees report 755,169 electric miles driven.